Dallas, TX (PRWEB) March 26, 2014 – The Repair Stem Cells Institute (RSCI ) announces its new “Double Benefits for SCI” stem cell treatment program specifically to benefit sufferers of Spinal Cord Injuries (SCI). The Regenerative Center, headed by Dr. Melvin M. Propis, a well-known practitioner of stem cells science, is located in Ft. Lauderdale, Florida, U.S.A. RSCI’s program is by far the least expensive SCI treatment program available using real stem cells treatments within FDA regulations. A Spinal Cord Injury (SCI) refers to any injury to the spinal cord caused by trauma rather than disease. Depending on where the spinal cord and nerve roots are damaged, the symptoms can vary widely, from pain to paralysis to incontinence. SCIs are described as “incomplete,” which normally means a partial but significant paralysis, to a “complete” injury, which means a total loss of function. The number of people in the United States in 2014 who have SCI has been estimated at over a quarter million, with approximately 12,000 new cases each year. The Repair Stem Cells Institute is the world’s only stem cell patients’ advocacy group whose mission is to Educate, Advocate, and Empower people to make educated choices about their medical conditions and treatments in order to lead longer and more fulfilling lives. The “Double Benefits for SCI” program marks a milestone in RSCI’s seven years of educating thousands and guiding hundreds to adult stem cell therapies by the world’s most competent stem cells doctors at 14 affiliated international stem cell treatment centers. Treatment in the United States. The current treatment is in Florida with three new facilities planned later this spring for the Midwest, Southwest and California. One stem cell “intrathecal” implant, the international standard in which the stem cells are implanted into the patient’s spinal canal, allowing the cells to circulate to the brain for maximum efficacy. Monthly post-treatment follow-up for one year after the two implants. A total stem cell treatment price of $7,500 including all medical costs, pre-treatment counselling, and post-treatment consulting. An RSCI Spinal Cord Injury patient, Graham Faught, who received treatment in 2013 at the Florida treatment clinic, said, “This treatment literally got me back on my feet. In April, I was confined to a wheelchair with little hope. By December, I was upright again, making some progress on the treadmill and hopeful for the future.” Late Flash: March 20, Graham walked 20 feet with a walker. We expect to have videos soon. 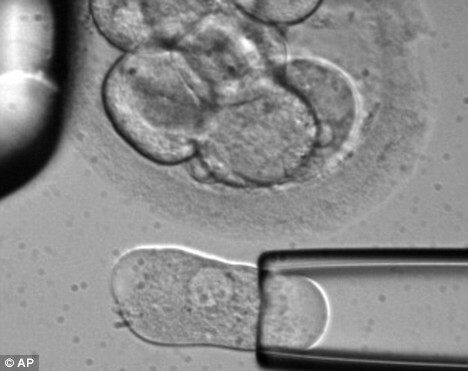 Currently, adult stem cell treatments are being used to help patients recover from over 150 debilitating chronic conditions previously thought to be untreatable, including the “Big Three” – Heart Disease, Diabetes, and Cancer — as well as Alzheimer’s, Parkinson’s, Spinal Cord Injury, Liver Disease, Cerebral Palsy, Renal Failure, Arthritis, Autism, and Diabetes. A full list of diseases stem cells can help can be found on the RSCI website (http://www.repairstemcells.org). To date, commercial stem cell treatments have been used by over 30,000 patients with a 65% success rate. For more information about adult stem cells, stem cell treatment, diseases stem cells can help, and the top international stem cell treatment centers, the the Repair Stem Cells Institute website offers a wealth of straightforward and unbiased information and solutions.